A delicious treat made from a decades old recipe. 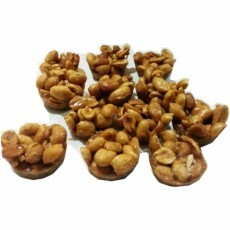 These peanut clusters (or peanut drops) are made from freshly roasted peanuts, cooked to perfection with brown sugar and a hint of island spices. These treats are sure to satisfy that sweet craving. You can't eat just one!